BuzzCanada: Excuseme! 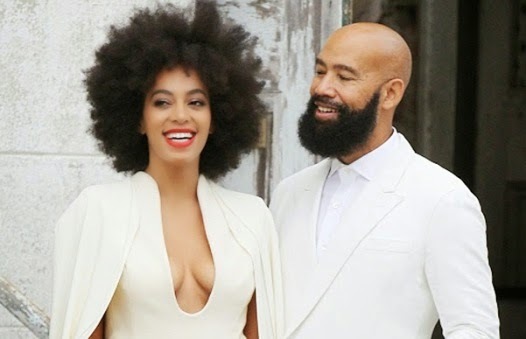 Solange so broke She to return wedding gifts for $1,000 cash? Excuseme! Solange so broke She to return wedding gifts for $1,000 cash? According to Naughty Gossip, Solange – who has just been served with a massive unpaid tax bill – has been caught red-handed exchanging expenses flower vases for cash. Naughty Gossip’s source explains, “Solange Knowles is a tacky, cheap swindler! 3 days after her wedding she returned over $1000 worth of flower vases she bought for the wedding to a popular nationwide design and furniture store. She also returned gifts. Gag!”To be fair to Solange, what would she have done with $1000 worth of flower vases? Might as well return it and get some cash in return, right? Especially since from all accounts, money’s been a little tight lately. Beyonce conspiracy theory? Revenge for screwing up her sister’s perfect image with her elevator beatdown? We can continue with the conspiracy theories until the cows come home, but the simpler explanation is that Solange is cheap and/or that she’s desperate for cash – or both. We know that she’s having financial difficulties thanks to the tax bill, and even though we always assume that a $1000 won’t make any difference to big-time celebrities, Solange is not Beyonce. And apparently, Beyonce is not willing to lend a little helping hand to her sister, because why would Solange have to resort to returning wedding gifts otherwise?